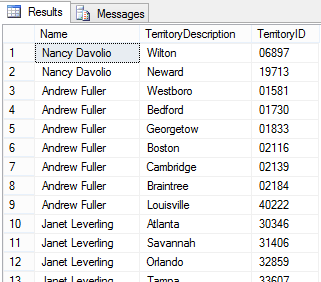 In SQL the WHERE clause is the most common join you will see, it relates one or more tables together. For example you want to get the employeeis territory information in the Northwind database but you there are all in different tables. The query above joins the Employees table to the EmployeesTerritories table matching the two tables by the column EmployeeID, then after we get the records with matching records between those two tables, we and the word "AND" to add additional joins based on our first join. 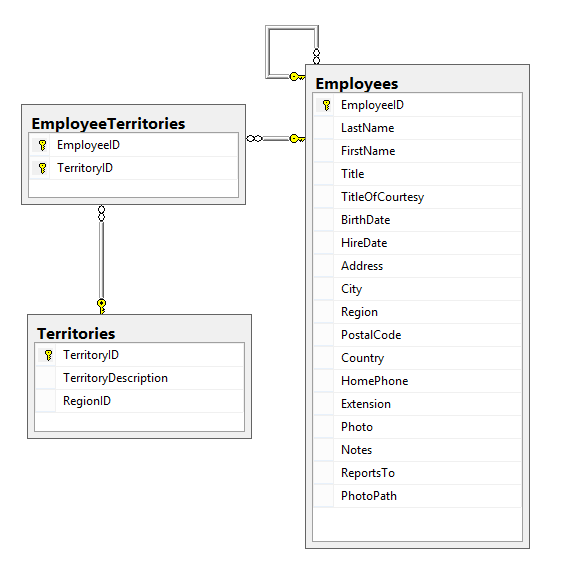 This time we want to match the TerritoryID in the EmployeesTerritories table with the TerritoryID column in the Territories which contains the TerritoryDescription field that we wanted. So with the WHERE clause we were able to work with three tables at once in one query.